Dim Mak recently announced they’ve signed Crookers forthcoming album, ‘Sixteen Chapel’. Anchored by the single ‘I Just Can’t’ featuring Jeremih, which is out 14 April, the album features collaborations with TJR, Zombie Nation, Antwon, STS and more. 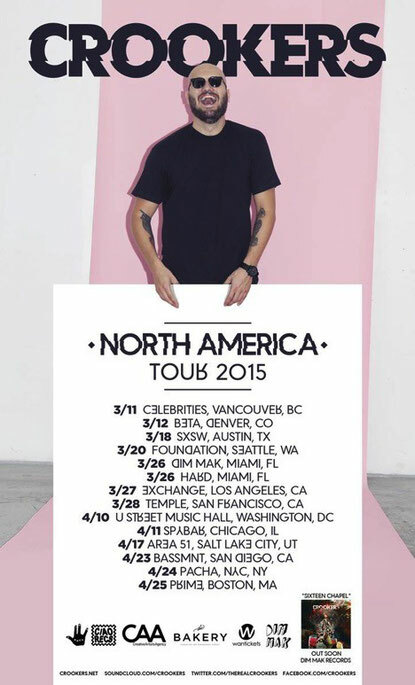 In support of the album, Crookers will hit the road for a North American tour including a featured slot on Dim Mak’s Miami event, plus stops in Los Angeles, Chicago, Austin for SXSW, New York City and more. 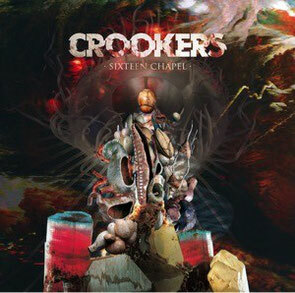 Previously described by Pitchfork as “one of the more promising examples of an ongoing cross-pollination between the club and "the club,” Crookers remains possibly one of the most prominent DJs working today. Achieving his first major success in 2008, his remix of Kid Cudi’s ‘Day ‘N Nite’ reached top 20 in 21 countries, top five in six different countries, and twice platinum in the United States. 2010 saw the release of Crookers’ debut album ‘Tons Of Friends’, which featured a lineup that included the likes of Miike Snow, Pitbull and Major Lazer. The 2011 follow up, ‘Dr. Gonzo’, proved to be another step forward for Phra, as he once again showcased his ability to produce catchy club beats without compromising his originality.